This silver two piece unit is a pendant, a brooch and a necklace all in one! 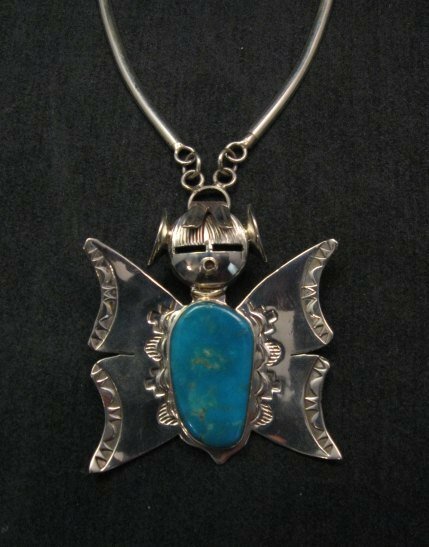 Navajo artist Nelson Morgan created this versatile Kachina pin pendant necklace combination from sparkling sterling silver and genuine turquoise. 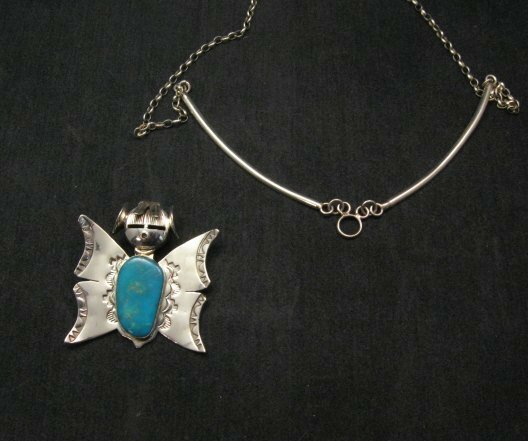 Navajo artist Nelson Morgan is one of the most well-known kachina character jewelry artists in the southwest. 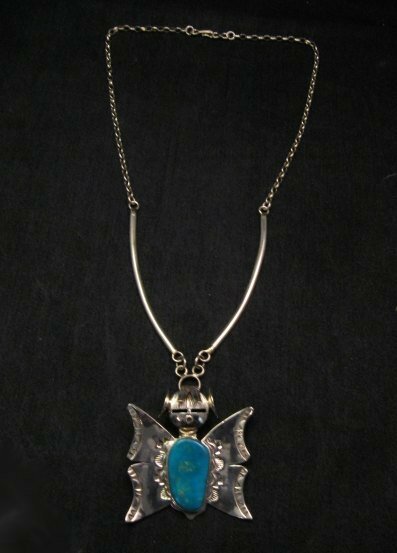 The butterfly maiden is detachable from the 20-inch silver chain and it measures 1-7/8 inches tall by 1-7/8 inch wide. The genuine turquoise stone measures 1 inch long. The pin/pendant/necklace is detachable and can also be used as a pin or pendant. And the 20-inch long silver collar/chain necklace can also be attached to any pendant of your choice, provided the pendant has a clip-on style bale. Brand new in perfect condition. 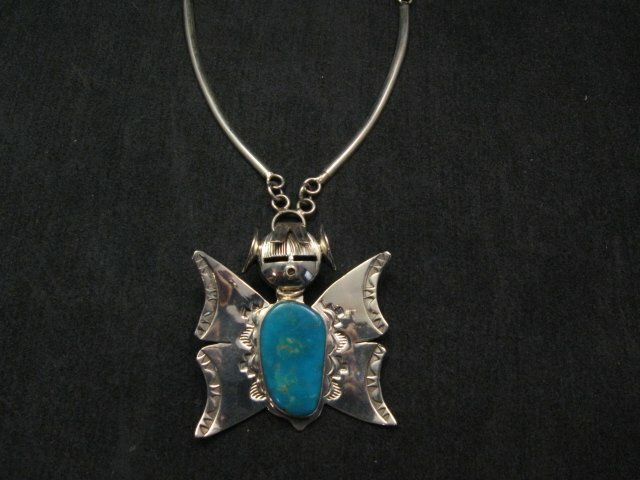 Created by Navajo Nelson Morgan and his hallmark is stamped on the back. Certificate of Authenticity and Gift Box included with your purchase. 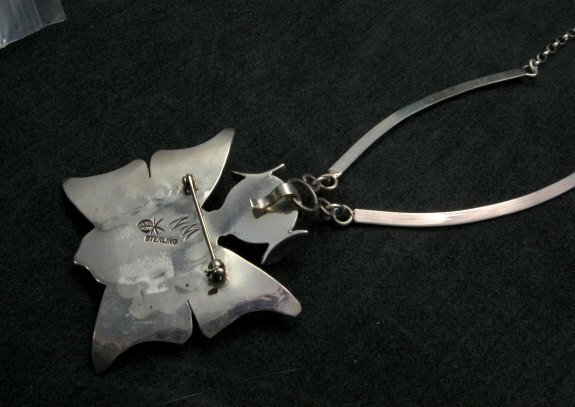 Don't miss out on this piece of beautiful jewelry by an award-winning Native American artist.